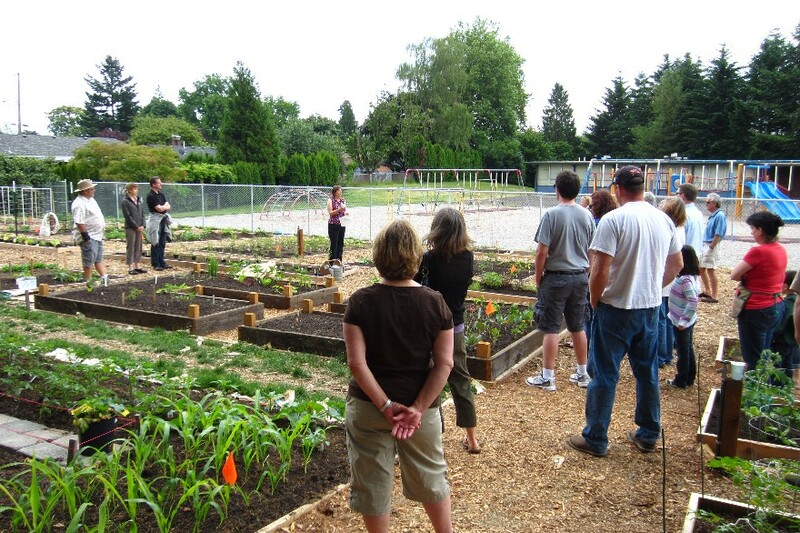 Campbell Community Garden: Thank You! Campbell Community Garden is located in the Hector Campbell Neighborhood in Milwaukie, Oregon. The garden has 28 plots for neighbors to rent, and 4 plots where volunteers grow crops for sharing. The grand opening tomato planting party was a success! No rain, a little sun, and 28 tomato plants, plus cucumber, watermelon, and summer squash all planted in our harvest donation beds. The grand opening was well attended, and it didn't rain! THANK YOU to all of the gardenrs who spent time getting Campbell Community Garden ready for it's public debut. It is very rewardign to see how much our garden has grown since we started planting on June 1st. THANK YOU to all of our garden sponsors, donors, and supporters. Your help made the building of the garden possible. Your contributions have gone far to improve our neighborhood and community. 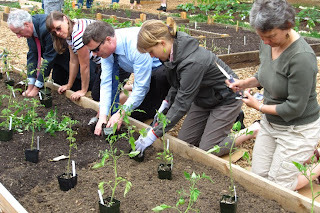 Garden supporters help plant tomatoes. L-R: Milwaukie City Manager, Bill Monahan; CCG Gardener, Judy Kiepke; North Clackamas School District Assistant Supperintendant, Ron Stewart; Landscape East & West's, Cindy Capparelli; and Milwaukie Community Services Director, JoAnn Herrigel. 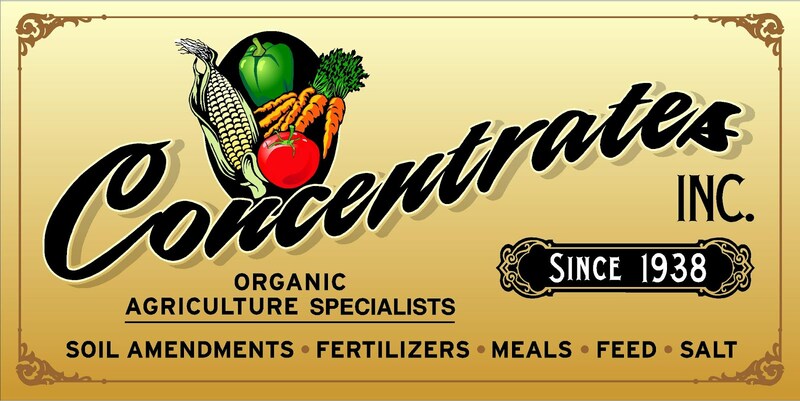 Concentrates Gift Certificates for the purchase of fertilizer and seed starting supplies. ACGA "Starting A Community Garden"
University of Missouri Extension "Community Garden Toolkit"
NM State University "Starting A Community Garden"
CDC: "Fruits and Veggies Matter"
It is the mission of the Campbell Community Garden to provide a place for community members of all ages who share a common interest in organic gardening to grow fresh food for their family and friends, to strengthen community bonds, and to maintain an active use on the Hector Campbell School grounds.